The Larder’s proposition is that it will develop and pilot a new project called Food For All. This project will offer weekly dining experiences for individuals and families who have been impacted by welfare reform, are on low incomes and who are experiencing food insecurity. Provide Dining experiences, for individuals and families, in our bespoke cook school, café/bistro and various community locations. Diners are referred from a range of partners including; Social Work, Advice Shop, Whole Family Support, Youth Action Project, West Lothian Drug and Alcohol Service, Women’s Aid, Homeless Organisations, WLC Housing Services, Family and Community Development West Lothian, Youth Services, Adult Education, Criminal Justice and Housing Associations and schools. 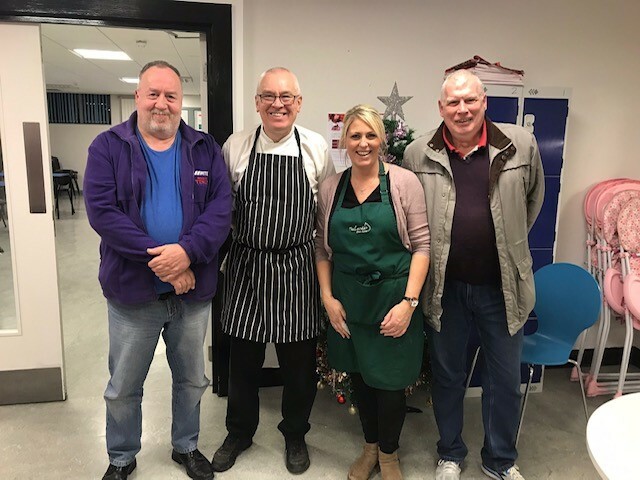 Launched in July/August 2018, funded by SCVO Community Capacity and Resilience Fund, the project offers weekly dining experiences for individuals and families, who have been impacted by welfare reforms, are on low incomes and who are experiencing food insecurity. These dining experiences provide access to high quality nutritious meals made by volunteers and trainees from The Larder assisted by our chefs and trainee chefs. Food is sourced from our local supermarkets via the Fare Share Cloud. The Food for All project will work with over 300 people, provide over 1000 meals and develop a minimum of 45 volunteering opportunities. In time diners will be offered the opportunity to attend free cookery classes and volunteering experiences in The Larder kitchen and at dining events. We aim to target a minimum of 300 people, provide over 1000 meals and serve approximately 50 dining events this year alone. We are looking for referrals from various voluntary and local government organisations who work with or have contact with our target group. We will take referrals for individuals and families. Participation in the project will provide many benefits including reduction in social isolation, free cooking places for kids, volunteering opportunities and of course access to good healthy food. To make a referral please fill in our form below or alternatively if you would like to print one off please find attached a download version. For more information about our project please contact: Debbie Joy on 01506 412819 or email debbie@thelarder.org. Armadale Community Centre 4pm till 5.30pm every Thursday. New Dining Events are coming soon, please contact us for dates and venues. Any special dietary requirements ie. Vegetarian or Allergies ect. Interested in participating in cookery lessons? Thank you for your referral. We will be in touch soon.